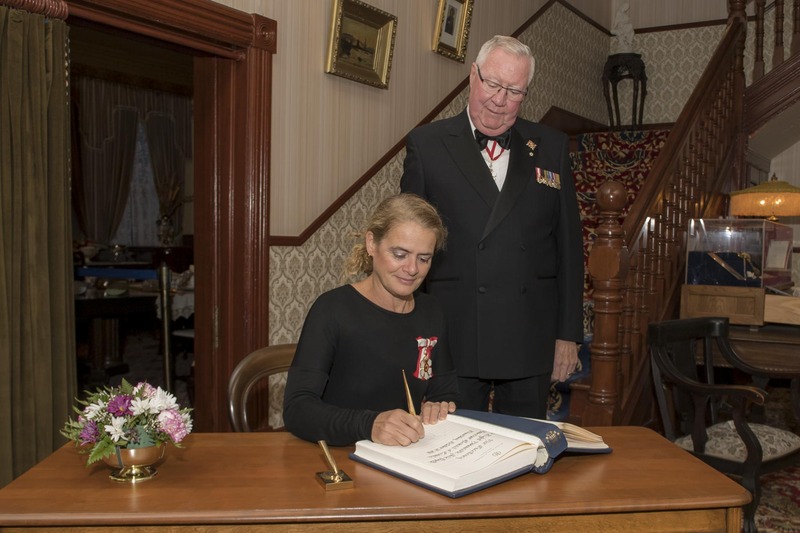 Governor General Julie Payette undertook an official visit to Saskatchewan from October 18 to 20, 2018. She stopped in Regina, Moose Jaw and Humboldt. 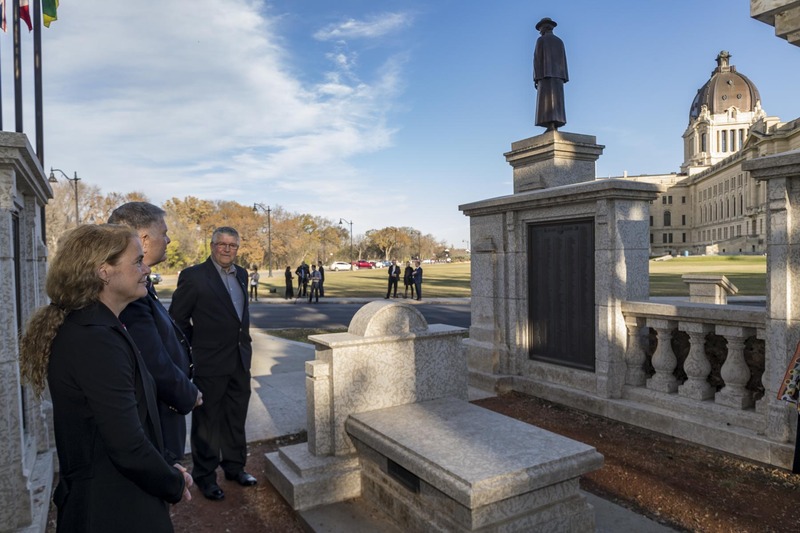 Upon arrival, Her Excellency was officially welcomed to the province by His Honour the Honourable W. Thomas Molloy, Lieutenant Governor of Saskatchewan, and the Honourable Scott Moe, Premier of Saskatchewan. To mark the occasion, there was a 100-person guard of honour in front of the Legislative Assembly. 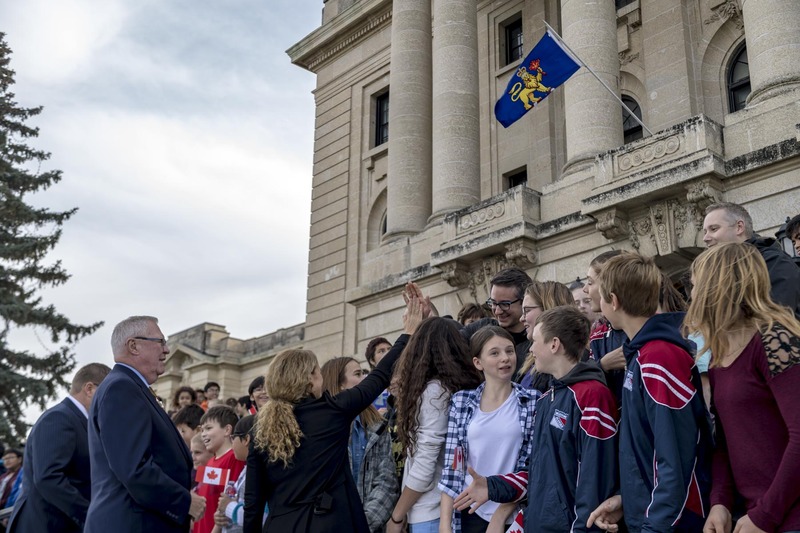 Upon arrival in Saskatchewan, Her Excellency received a warm welcome from the people of Regina at the Legislative Assembly. 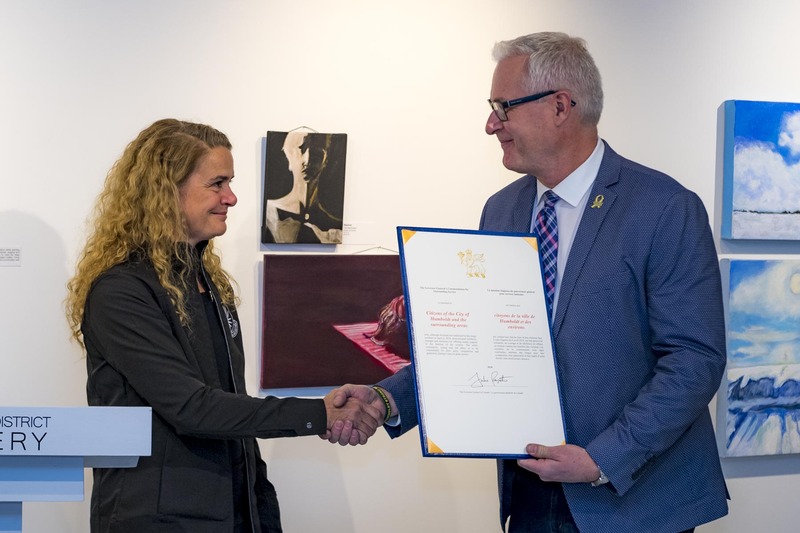 She was officially welcomed to the province by His Honour the Honourable W. Thomas Molloy, Lieutenant Governor of Saskatchewan, and the Honourable Scott Moe, Premier of Saskatchewan, and other guests. 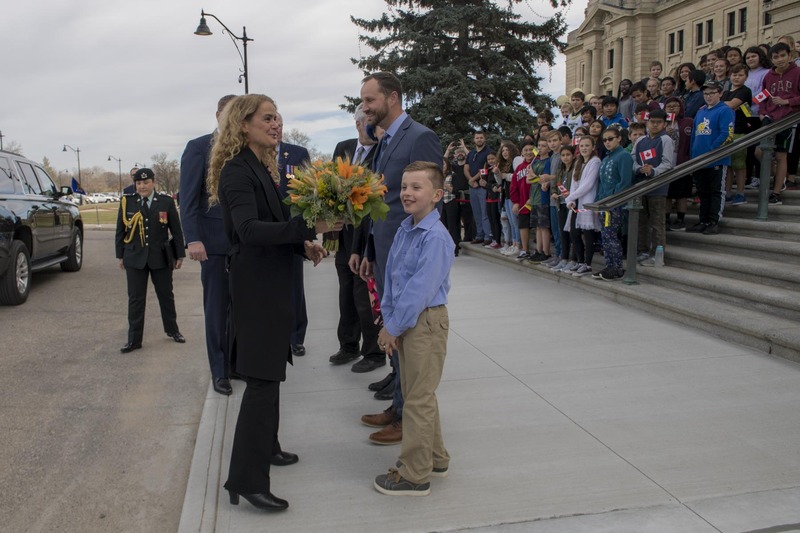 She received military honours, including a guard of honour, the “Viceregal Salute” and a 21-gun salute from members of the 3 Canadian Division, Joint Task Force West and the 10th Field Artillery, 38 Canadian Brigade Group. 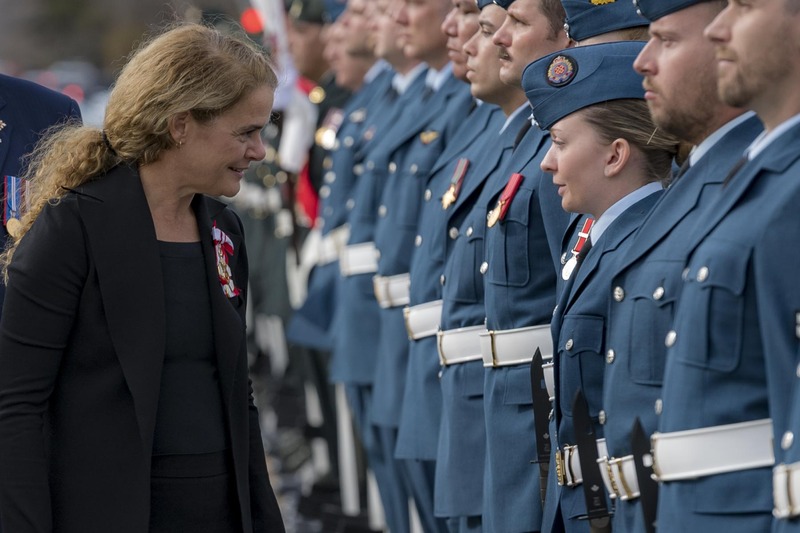 During the inspection, the Governor General stopped on several occasions to thank members of the Canadian Armed Forces for their service. She also acknowledged students who were on hand to welcome her. 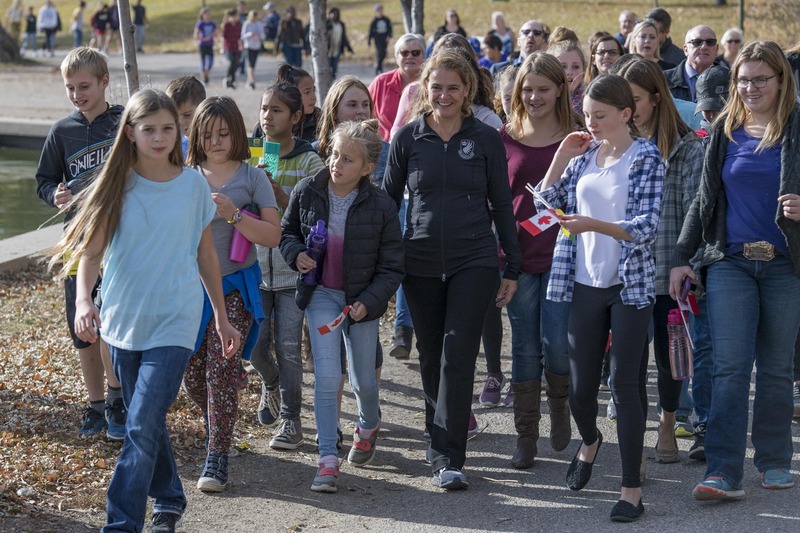 The Governor General then invited members of the public to join her for a walk around Wascana Lake. This walk was part of her new initiative called GGActive, which aims to promote health and fitness. The Governor General then met with the Honourable Scott Moe, Premier of Saskatchewan, at the Legislative Assembly. 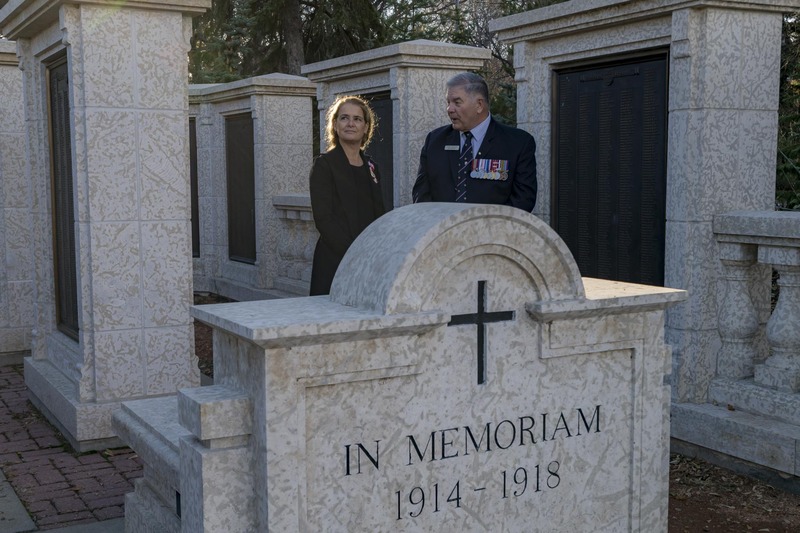 Her Excellency then proceeded to the Saskatchewan War Memorial. 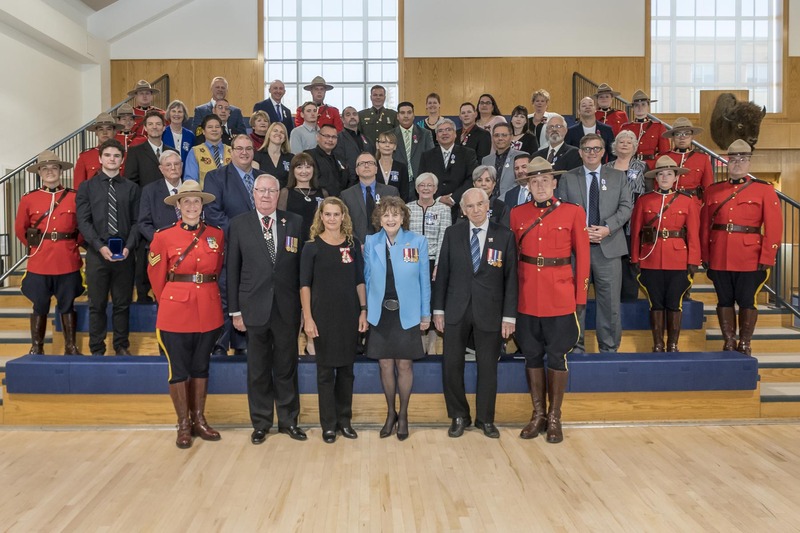 She paid tribute to residents from the province who lost their lives during the First and Second World Wars, the Korean War, military training, peacekeeping operations and the Afghanistan war. 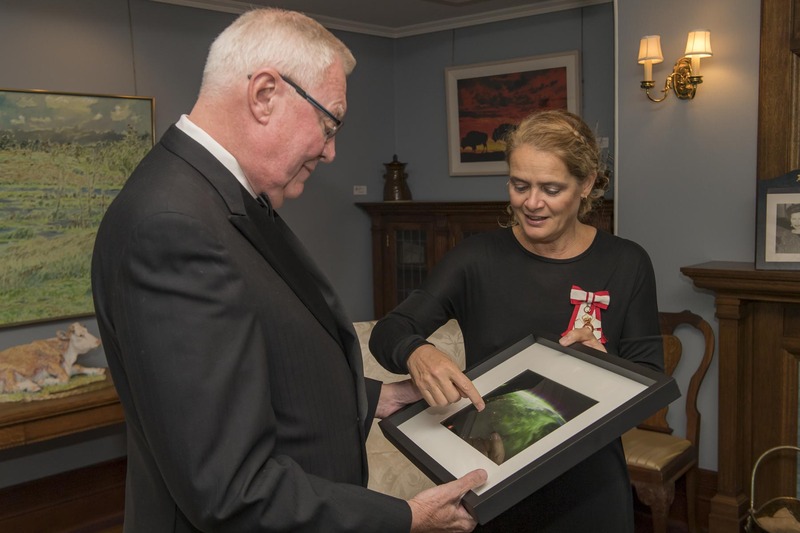 In the evening, the Governor General met with His Honour the Honourable W. Thomas Molloy, Lieutenant Governor of Saskatchewan, at Government House, where she presented him with a photo of the province of Saskatchewan taken from space. After the presentation, she signed the Lieutenant Governor’s guest book. The Governor General visited the RCMP Academy, “Depot” Division to learn about their innovative training programs. 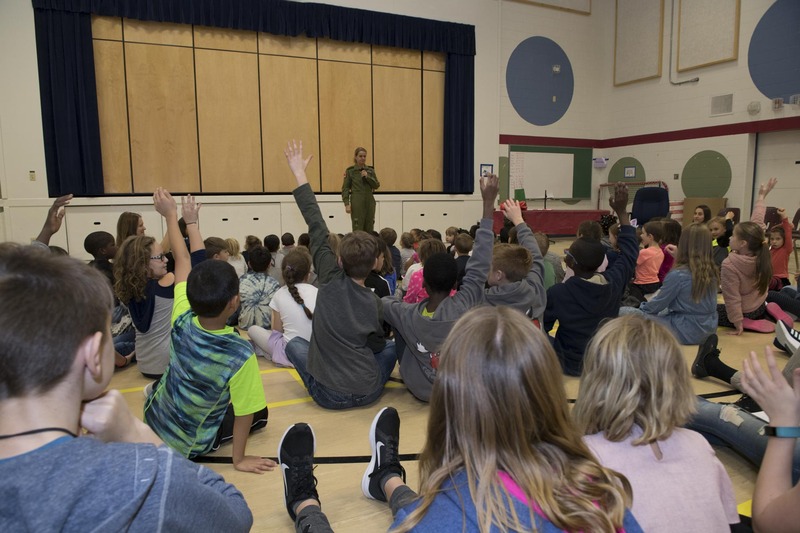 In the afternoon she headed to Moose Jaw where she met with students from l’École Ducharme. 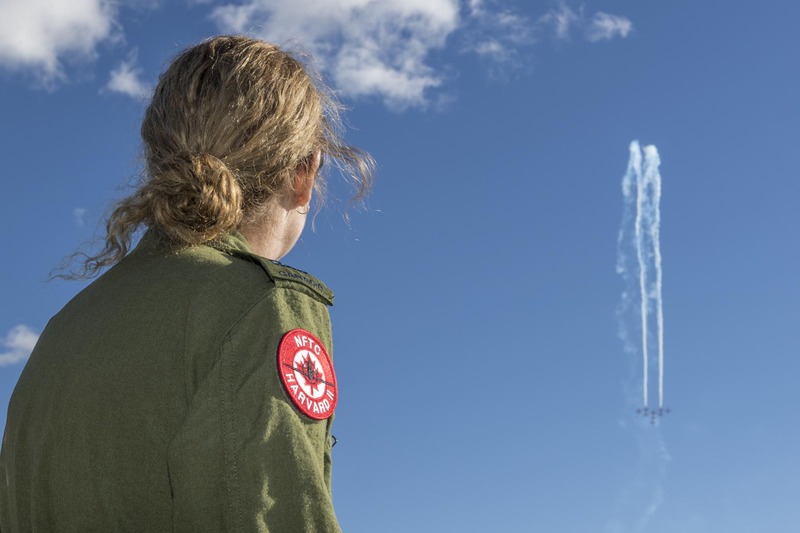 Afterwards, she proceeded to Canadian Forces Base 15 Wing Moose Jaw for the closing of the 48th season of the Canadian Forces Snowbirds. 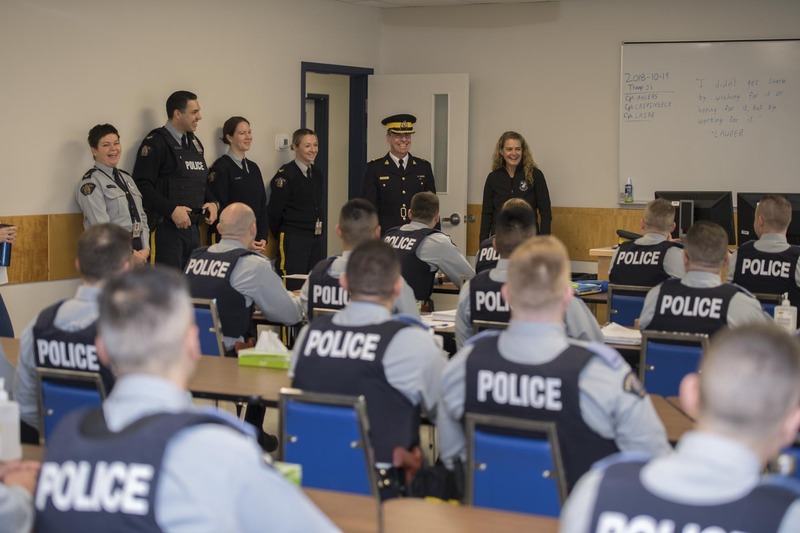 The Governor General visited the RCMP Academy Depot Division that prepares Cadets for real-world policing situations. 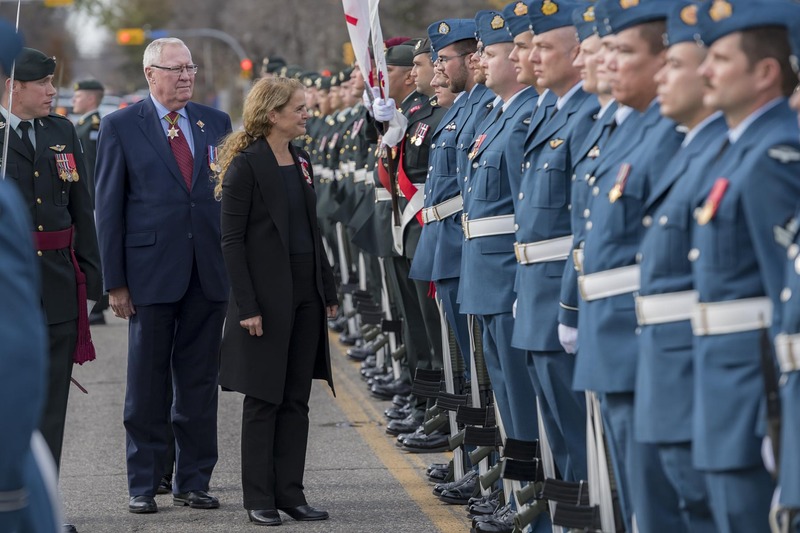 The Governor General the proceeded to École Ducharme, the only Francophone school in Moose Jaw. She participated in a question and answer session with students from junior kindergarten to grade 12. 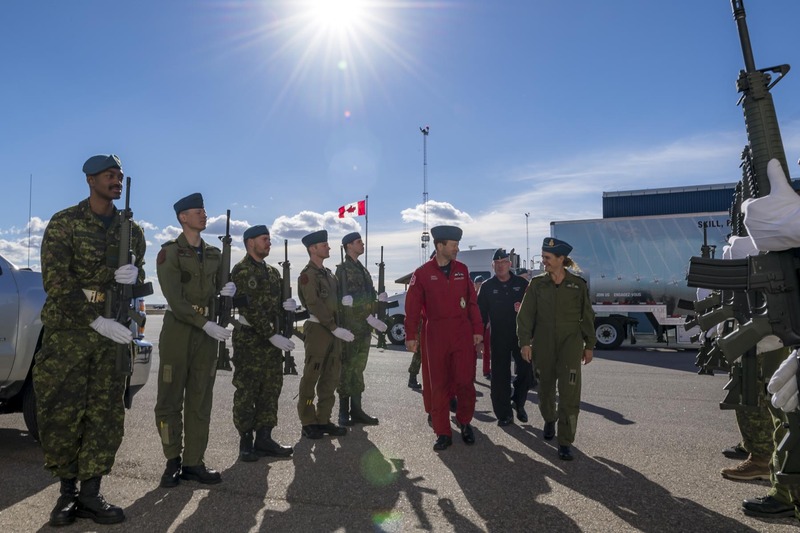 In the afternoon, the Governor General headed to CFB 15 Wing Moose Jaw, were she was greeted by representatives from the Canadian Forces Snowbirds. 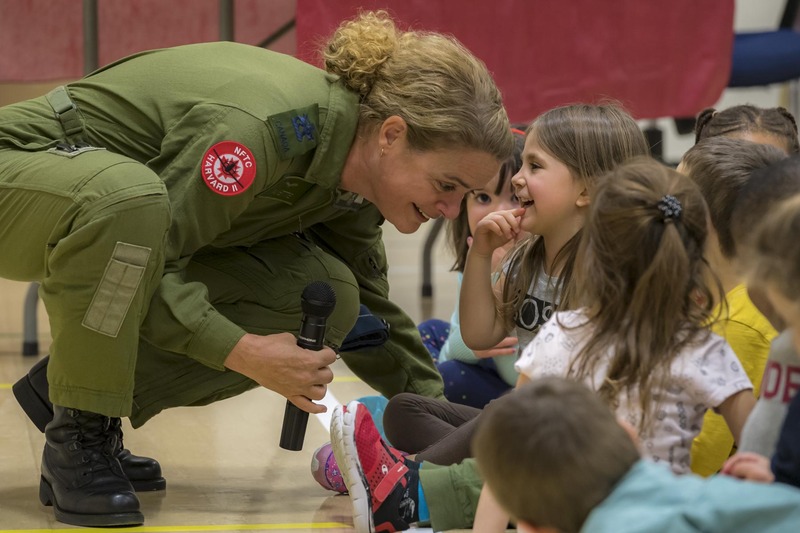 She addressed pilots and instructors in the hangar and thanked them for having had the privilege of training with them before becoming an astronaut. 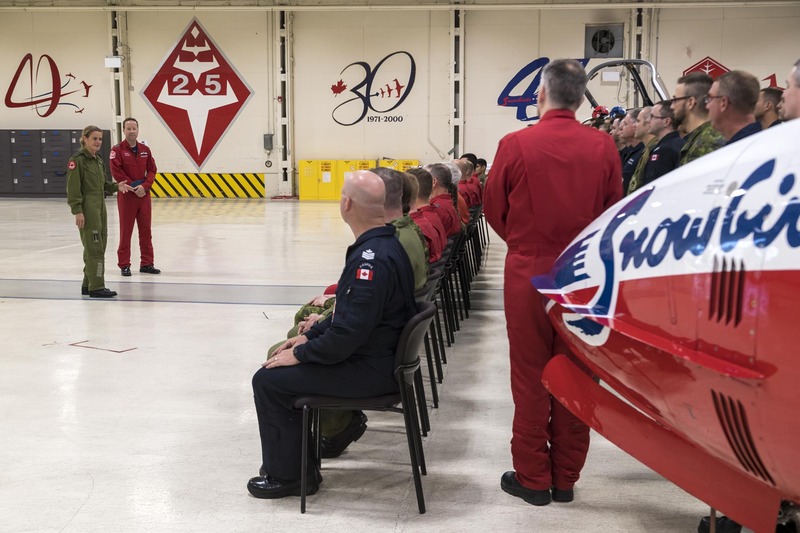 The Governor General then attended the closing demonstration of the Canadian Forces Snowbirds’ 48th season. 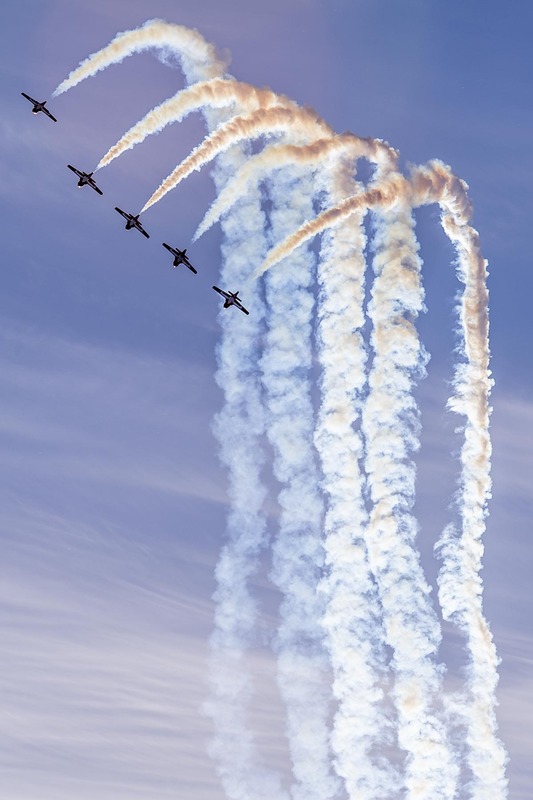 The Snowbirds impressed the crowd with their manoeuvres and aerial prowess. 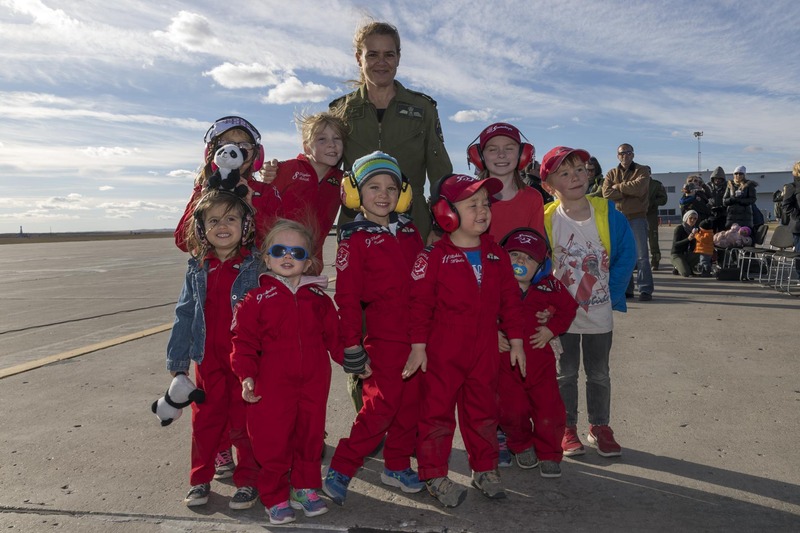 Her Excellency met with family members and children of the Snowbirds formation. 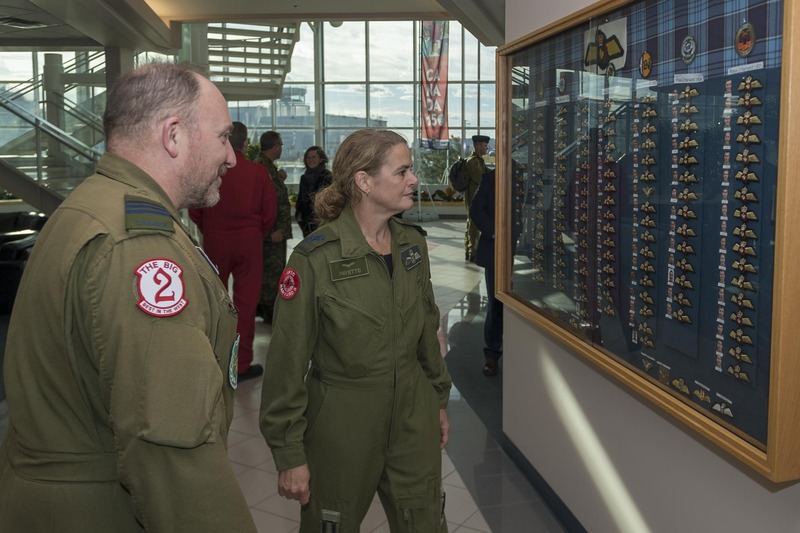 Afterwards, the Governor General toured the NATO Flying Training in Canada academy. 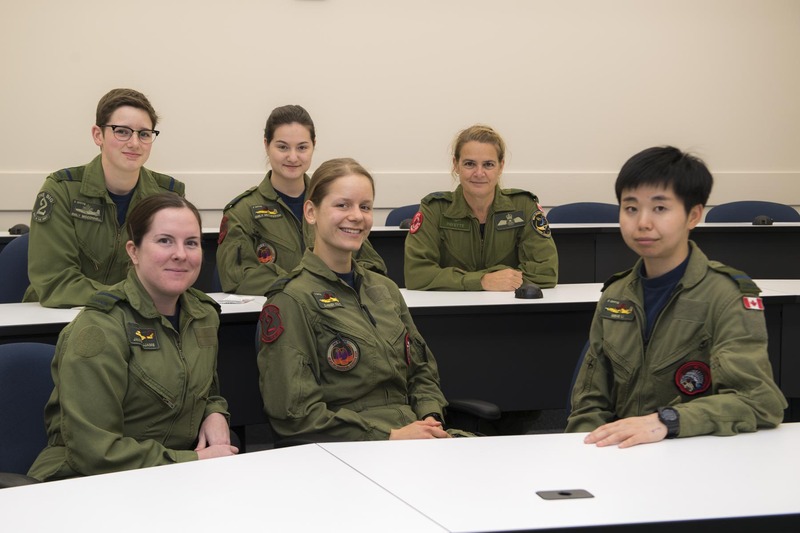 Her visit gave her the opportunity to interact with female students and instructors. 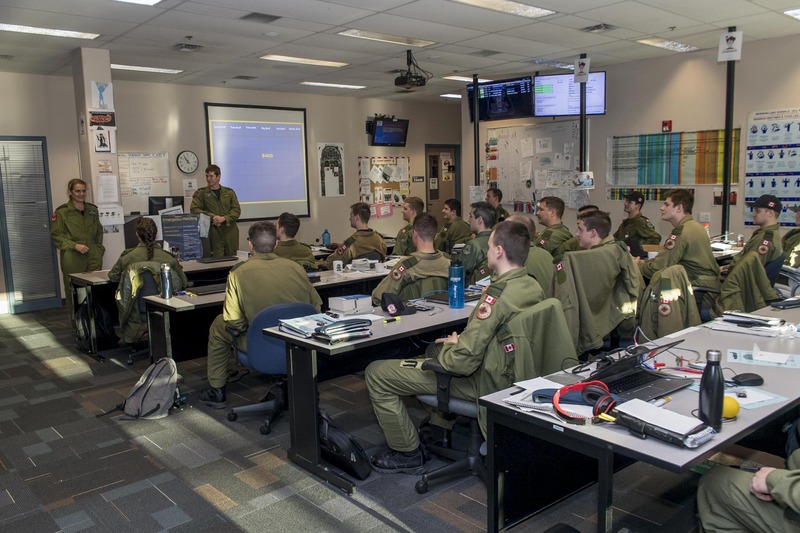 CFB 15 Wing is the centre of Royal Canadian Air Force aircrew training and 431 Air Demonstration Squadron. 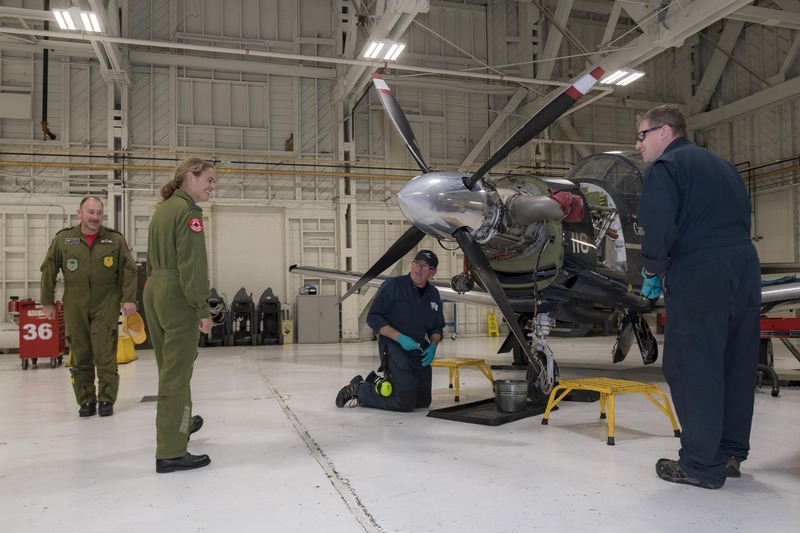 The Governor General interacted with engineers as they were conducting maintenance work on an aircraft. In the morning, Her Excellency presented Canadian honours to close to 40 remarkable Canadians in Regina. 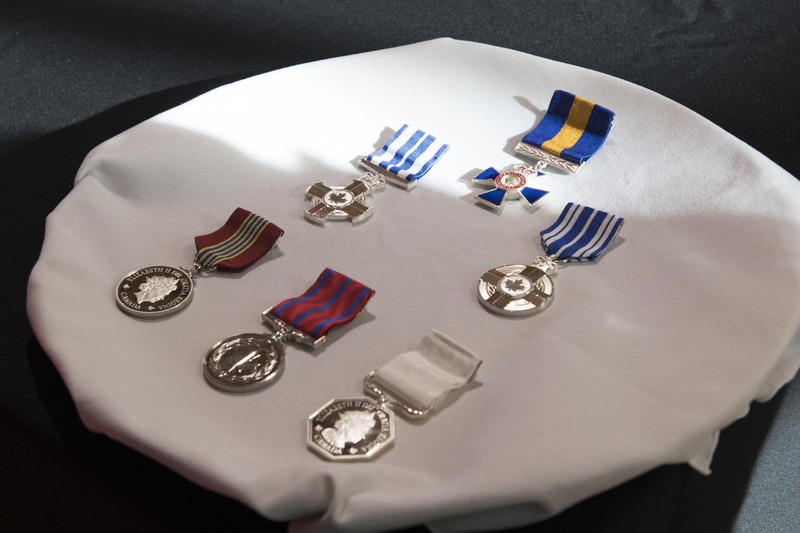 On Saturday, October 20, 2018, the Governor General presented honours to 34 remarkable Canadians in celebration of their incredible achievements and contributions. 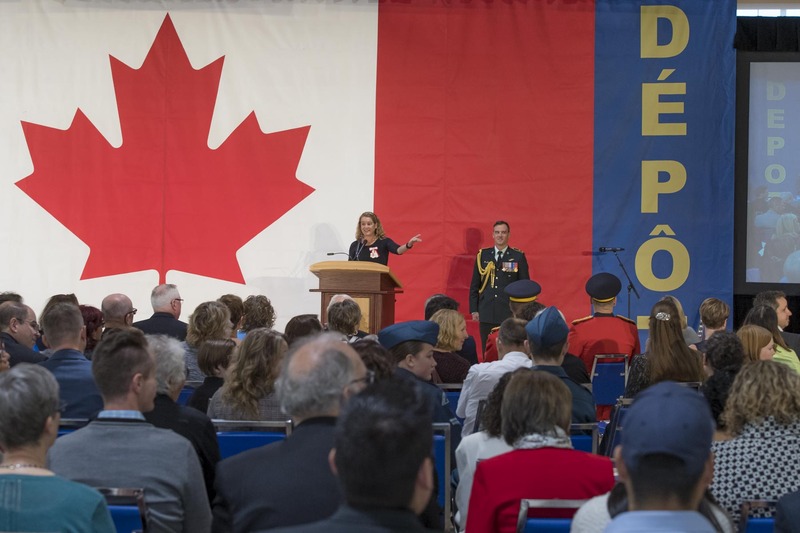 The Governor General offered opening remarks and congratulated the recipients on their excellence, courage or exceptional dedication to service. 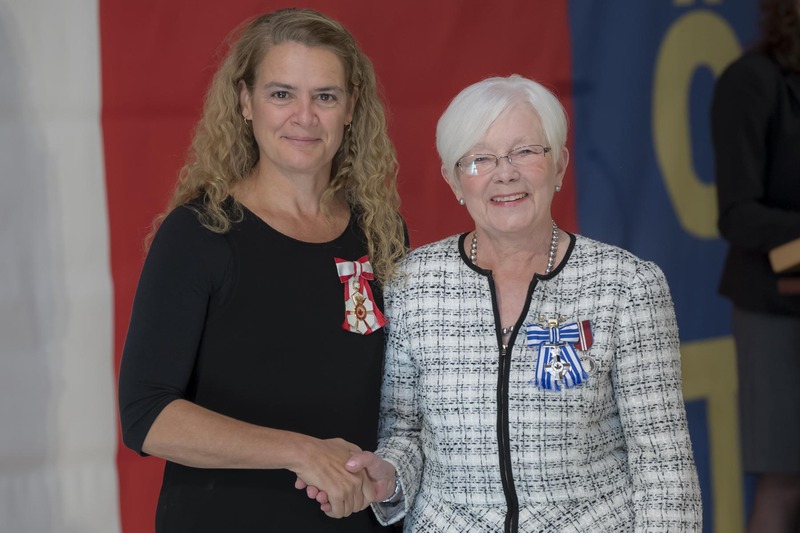 The Meritorious Service Cross was presented to Sandra O’Reilly who founded the Calgary Children’s Cottage Society in 1986 to provide a safe place for parents to leave their children during times of crisis. For over three decades, she provided critical information to educators and policy makers in support of changes to social services in her community. 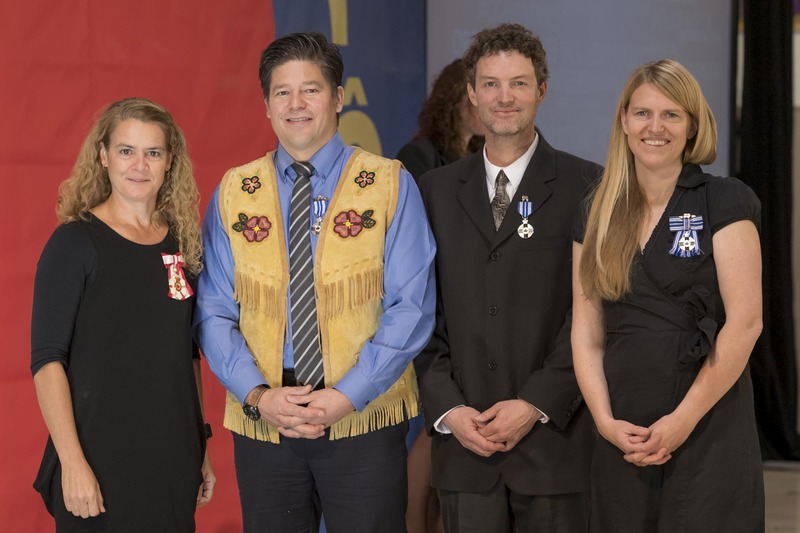 The Meritorious Service Medal was presented to Derek Crowe, Justin Ferbey and Jane Koepke, who started Singletrack to Success, a network of mountain biking trails on Montana Mountain near Carcross, Yukon. The project’s 65 kilometres of trails have attracted thousands of tourists to the area. In addition, youth from the Carcross/Tagish First Nation have been engaged in building and maintaining the trail system, gaining valuable life skills and a sense of pride through their work. 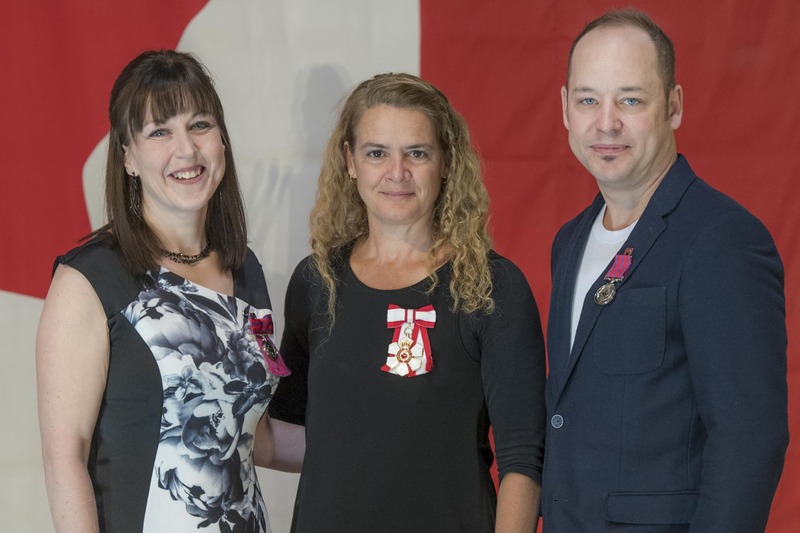 The Meritorious Service Medal was presented to Kirby and Marie Fontaine. After winning the lottery, Kirby and Marie Fontaine chose to enrich the lives of others in their home province. Through their generous donations, they have fed the hungry, put gifts under the Christmas trees of less fortunate children, and supported programs for at-risk youth. Gracious and humble, they further financed revitalization projects that have provided meaningful employment and a reinvigorated a sense of pride in their community. Kal Hourd performed during the intermission. A CD of Mr. Hourd’s music accompanied the Governor General in space on board STS- 127 where it orbited earth 248 times. 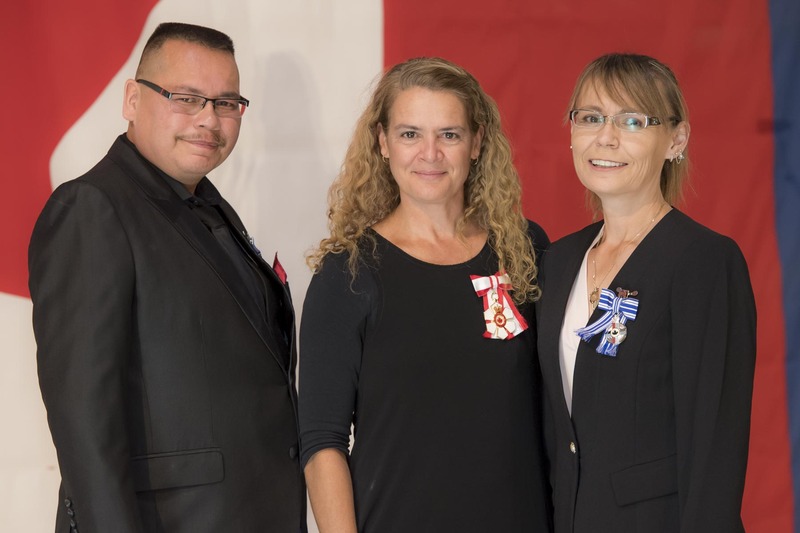 Dr. Angela Irvine and Cole Marshall received Medals of Bravery. They rescued Dr. Irvine’s young sons who were in danger of drowning in the South Saskatchewan River, in Medicine Hat, Alberta. As the boys were carried off by the water, Dr. Irvine dove in and fought against the current until she was able to reach one of the boys, pulling him to shore. After her unsuccessful attempt to rescue the second child, Mr. Marshall used a tree branch to pull the young victim to safety. Jerry Kobalenko received a Polar Medal. He has skied, hiked, sledded and kayaked more than 16 000 kilometres through the High Arctic over the course of 30 separate expeditions. A professional writer, photographer and ardent Arctic adventurer, he has brought his love, passion and knowledge of Canada’s North to a broad national and international audience through his many publications and lectures. 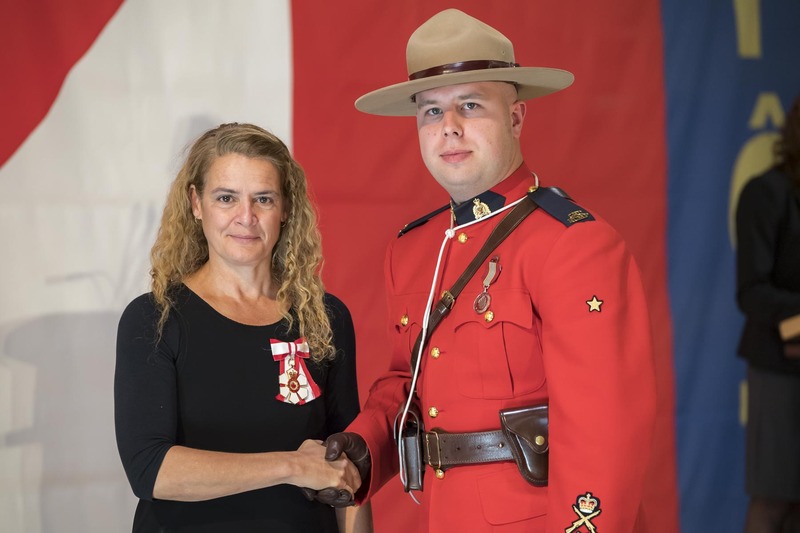 Constable Garrett Dove received a Sovereign’s medal for volunteers. He has gone above and beyond in mentoring and guiding First Nations youth in the communities of Pelican Narrows and Battleford, particularly by offering valuable options for Indigenous programming during and after school. 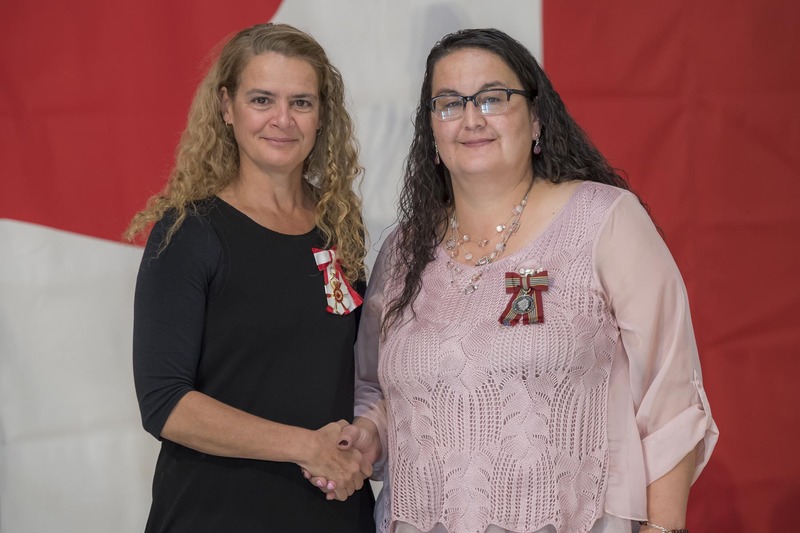 Chief Coreen Sayazie was presented with a Sovereign’s Medal for Volunteers. She has been with the Community Volunteer Income Tax Program for over two decades, serving as the main volunteer tax preparer for Saskatchewan’s northernmost communities. She was elected chief of her band in 2016, but continued to fulfill her volunteer commitment regardless of her busy schedule. 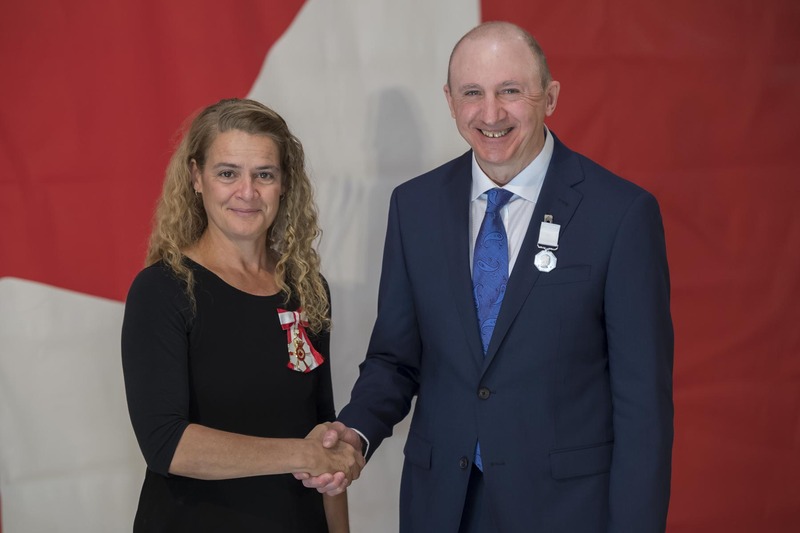 The Governor General presents honours on behalf of all Canadians in communities across the country to help share inspiring stories, celebrate tremendous contributions to our society and connect with Canadians. 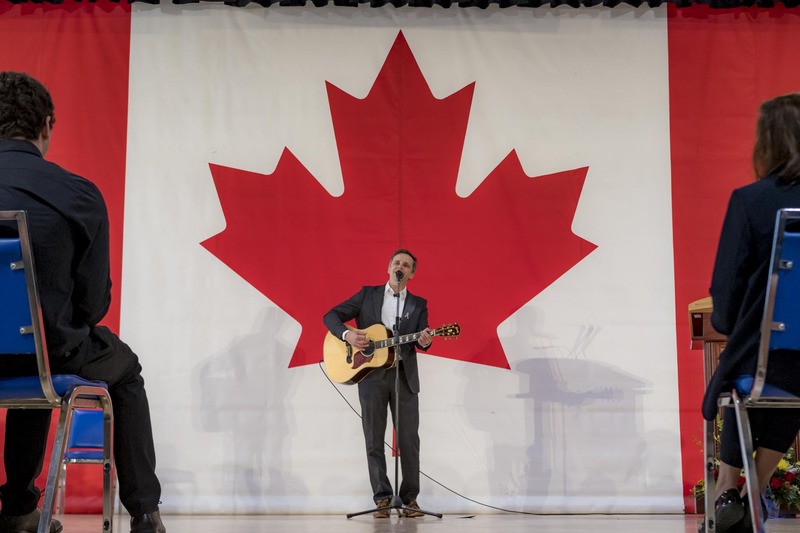 From community volunteers to scientists, from actors to members of the military, from scholars to everyday citizens, Canadians earn our applause and gratitude. 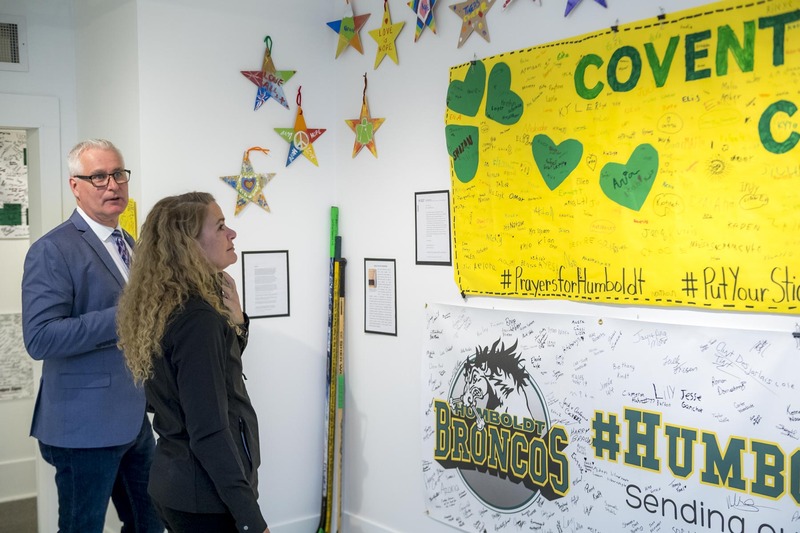 Later that day, she travelled to Humboldt where she visited the Broncos Memorial Exhibit, presented two Governor General’s Commendations for Outstanding Service and attended a Humboldt Broncos home game. The Governor General then proceeded to Humboldt to visit its community members and honour citizens for their outstanding work. 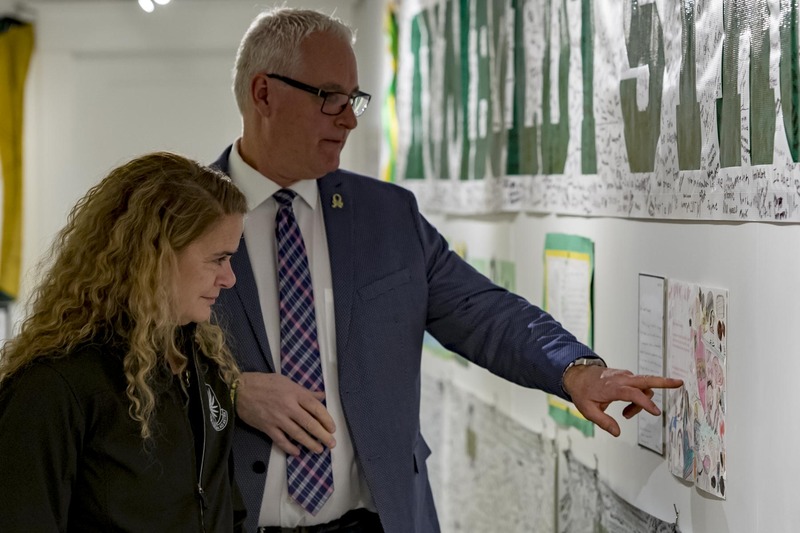 Upon arrival, she visited the Humboldt Broncos Memorial Exhibit, where she saw all the support the community received following the tragic crash on April 6, 2018. The exhibit features messages, banners, jerseys and hockey sticks, among many other paraphernalia. She read attentively the messages written in honour of those who perished. 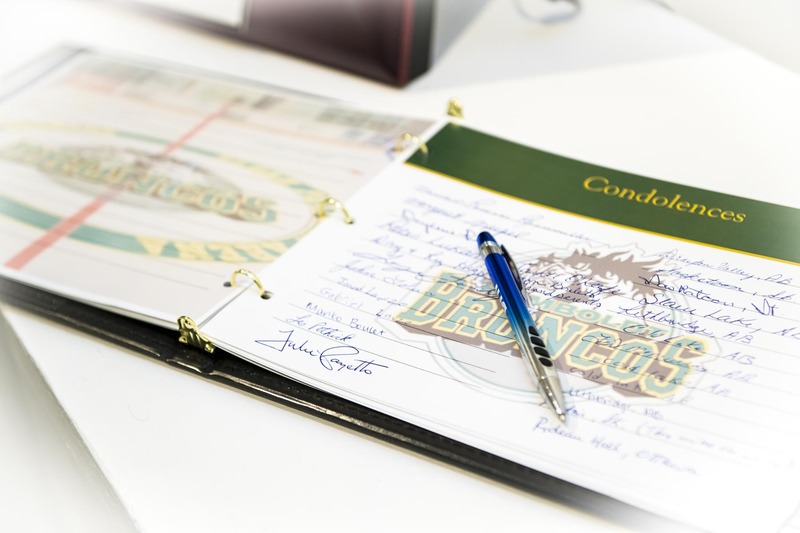 During her visit, she presented the first commendation to first responders, citizens and volunteers who came to the aid of the Humboldt Broncos hockey team in the aftermath of the devastating bus crash on April 6, 2018, which claimed the lives of 16 people. 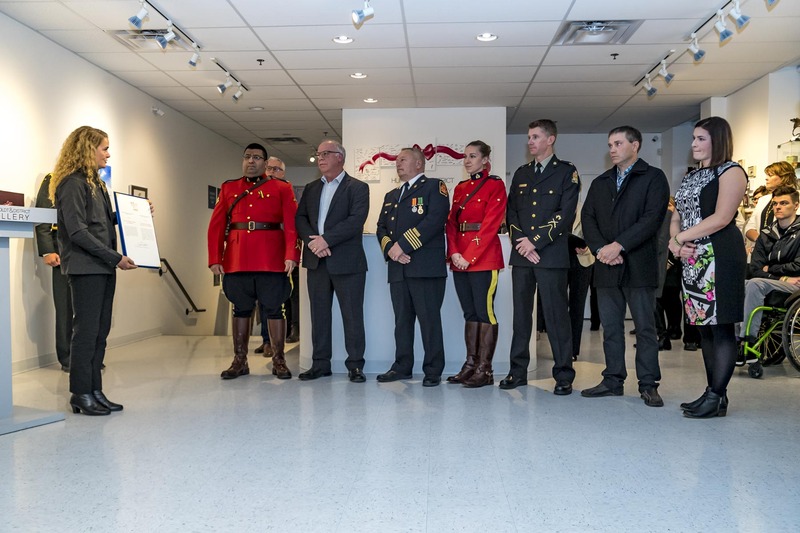 The second commendation was presented to the citizens of the City of Humboldt and the surrounding areas, who demonstrated solidarity, strength and resiliency by offering steady support to the families of the victims. 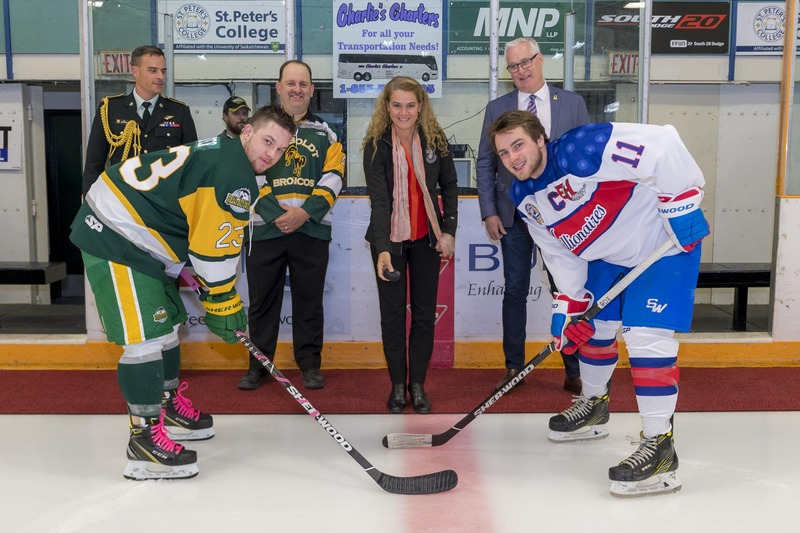 The Governor General then conducted the official puck drop at the Humboldt Broncos home game. 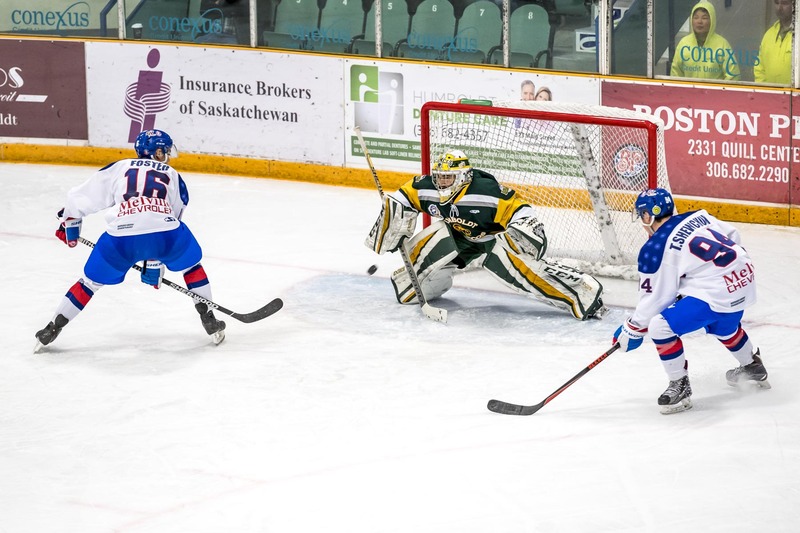 The Broncos faced the Melville Millionaires and won the game 6-3. 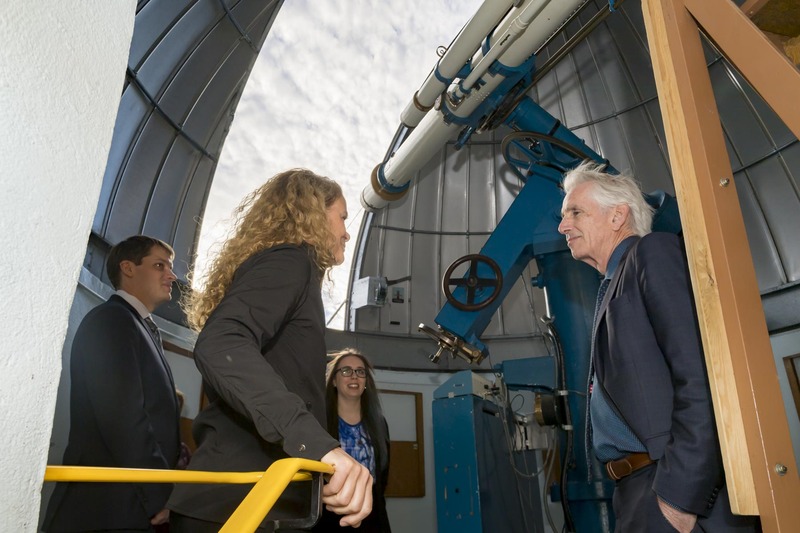 The Governor General also stopped at the University of Saskatchewan observatory. 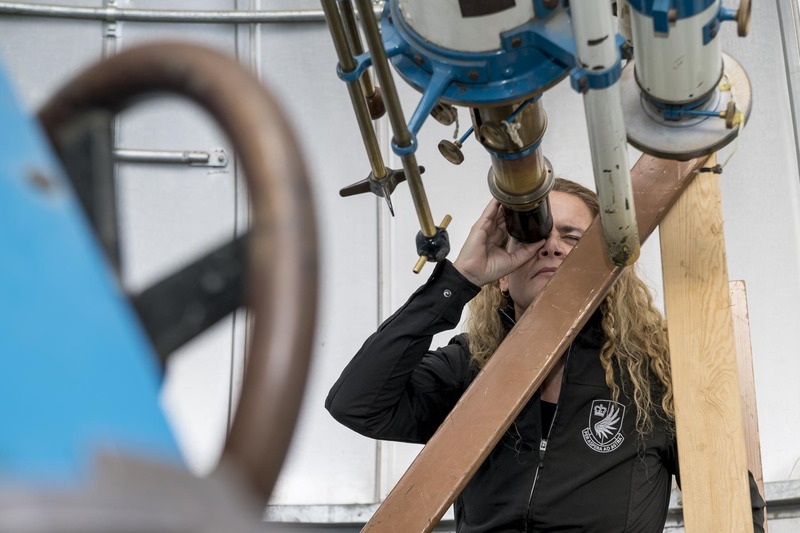 The observatory houses a 3 meter long refracting telescope with 6 inch diameter lens.